Laboratory settings commonly contain hazardous substances and considerable risks. Working in these environments therefore requires a high degree of care and vigilance. As well as safety policies and training, it is crucial to have the right equipment on hand to protect against harm and accidents. 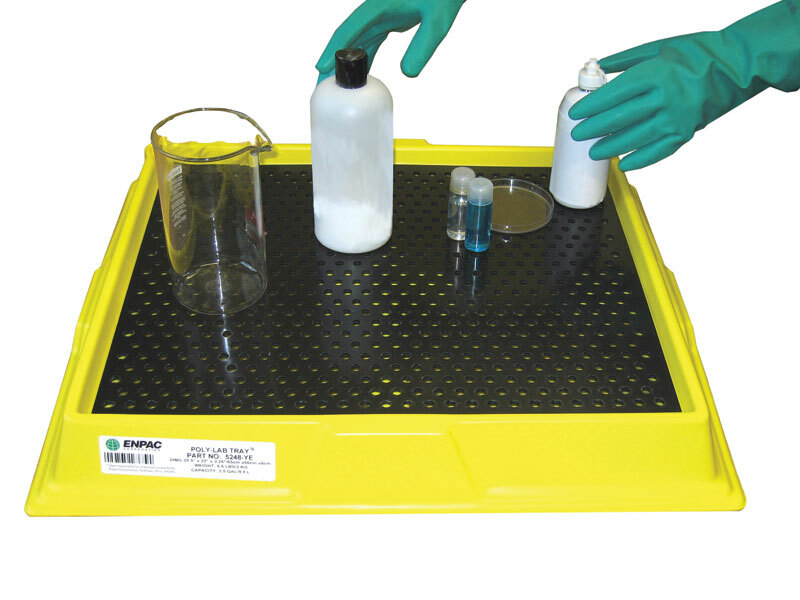 The Workplace Depot is excited to offer the Laboratory Workbench Spill Tray, providing an affordable way to contain small spills and protect laboratory worktops and floor areas from stains and damage. What is The Purpose of the Laboratory Workbench Spill Tray? This product is ideal for catching and containing liquid drips and spills on countertops in medical, testing and research facilities. It is very long lasting and durable and, given the absence of metal parts, will not rust or corrode. 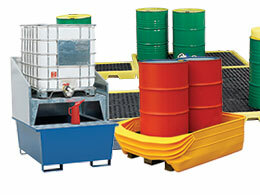 In addition to safeguarding work surfaces, it also helps to simplify cleanup procedures and is suitable for mixing small containers, thanks to its sump capacity. It is the perfect apparatus for storing and transporting small containers, supplies and items such as batteries, which may be liable to drip or leak. The laboratory workbench spill tray can be employed in a wide variety of contexts but is most commonly used in laboratory and research and development facilities, including medical facilities, pharmacies and testing areas. It may also be useful in mechanic industries and on industrial plants for the purposes of containing leaks when cleaning or repairing small machine parts. Given its size, this product is easily integrated onto any workbench area by scientists, technicians and any number of laboratory or industrial personnel. Low cost and compact, its removable textured grating makes it extremely easy to clean and means it can be easily stored away when not in use. 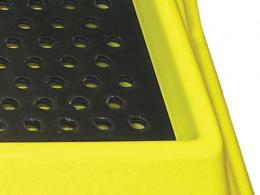 The laboratory workbench spill tray is available in yellow and black and features a sump capacity of up to 2.5 gallons. With external measurements of 70mm x 630mm x 550mm and internal grating measurements of 530mm x 440mm, the tray can hold four 1-gallon bottles on its large surface area. We can deliver within 5 working days and we promise to match any price. 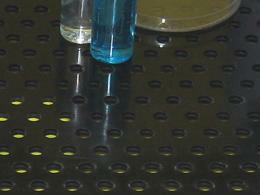 We also provide a one-year guarantee, so invest in the laboratory workbench spill tray today!